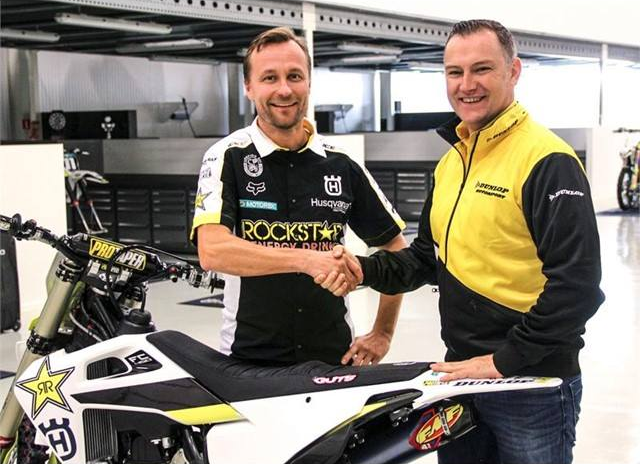 Rockstar Energy Husqvarna Factory Racing have a new tyre supplier, after they inked a brand new 3-year deal with Dunlop to use their acclaimed Geomax range in MXGP to the end of the 2021 season. Dunlop’s popular Geomax tyres have been used by race winners in this year’s MXGP championship, as well as in the North American Supercross series. Their passion for performance has earned Dunlop a reputation as a race and championship-winning brand. As part of their ongoing commitment to push the boundaries of technological evolution, Dunlop use feedback collected from top-level international motocross competition use to ensure their Geomax range is at the cutting edge of performance. In each series, they have proven that the Geomax can stand up to the very toughest of tests, over a wide range of terrain types. You can find out more about Dunlop’s latest motocross range here.